Sunday, September 24, 2017 night witnessed a grand event and awards night for Bollywood stars. The star-studded evening was organized for felicitating women in Bollywood with Vogue Women of the Year awards 2017 marking a celebration of a successful decade of the Vogue India. 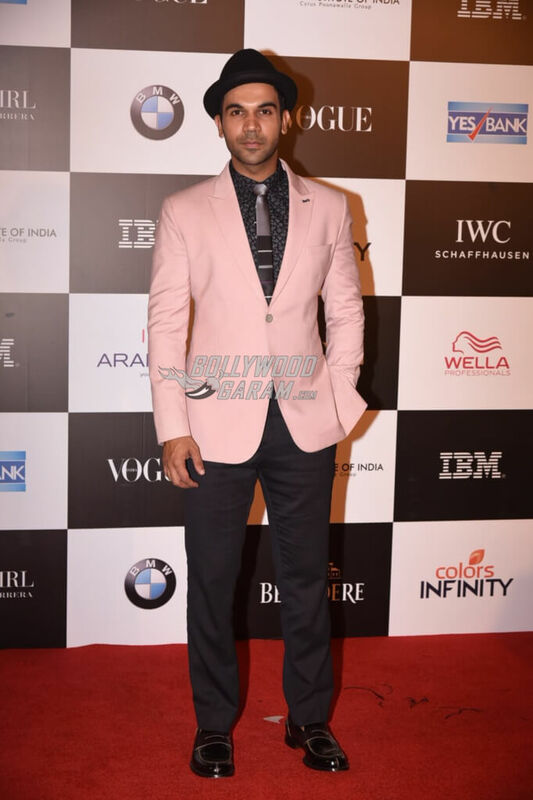 As Vogue reports, “To celebrate the milestone moment, we brought together some of the country’s most influential men and women at the very first edition of the Vogue Women of the Year awards,” the Grand Hyatt Hotel in Mumbai was packed with stars in their best stylish ensembles. Aishwarya Rai Bachchan, Shah Rukh Khan, Anushka Sharma, Sonam Kapoor, Anil Kapoor, Nita Ambani, Shweta Bachchan Nanda, Arjun Kapoor, Karan Johar, Shah Rukh’s wife and interior designer Gauri Khan and Aamir Khan’s wife and filmmaker, Kiran Rao among others graced the event. While Aishwarya who looked spectacular in a long embellished black gown with feathered sleeves and took home the trophy for Vogue Influencer of the Decade, she was joined on the stage by Shah Rukh who earned the Vogue Entertainer of the Decade Award. Shah Rukh too was dressed in a black suit with a bow tie. Another candid moment was when Sonam Kapoor dressed in an emerald green dress by designer Fouad Sarkis won the Vogue and IWC Fashion Icon of the Year Award and received it from her father Anil Kapoor. Veteran actress Twinkle Khanna who is known as mrsfunnybones on Twitter and has turned into an author now sizzled in a beautiful red dress and bagged the Vogue Opinion Maker of the Year Award. 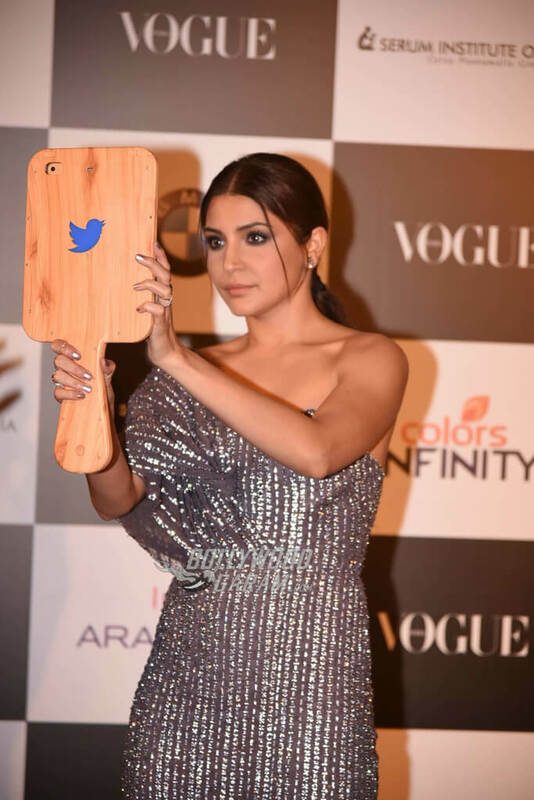 Meanwhile, Anushka Sharma stunned all in her gorgeous silver embellished ensemble by Falguni Shane Peacock India and was proudly felicitated with the Vogue and BMW Game Changer of the Year Award. Kriti Sanon, Radhika Apte, Athiya Shetty, Kiran Rao, Kanika Kapoor and Aditi Rao Hydari were some other Bollywood women celebs who looked ravishing in their outfits and were clicked posing and smiling by the paparazzi. Among others were Rahul Bose, Jim Sarbh (of Neerja fame), Rajkummar Rao, Padma Lakshmi (Indian born American Author, actress and TV presenter), supermodel and philanthropist Natalia Vodianova who especially came to Mumbai for the night and to reportedly raise awareness about her charity platform, designers Abu Jani and Sandeep Khosla, philanthropist and chairperson of Villoo Poonawalla Foundation, Natasha Poonawalla, model Ketholeno Kense, serial entrepreneur and fashionista, Kalyani Saha Chawla, Nita Ambani and daughter Isha Ambani were others whose presence was felt at the Sunday night event. Karan Johar, Anil Kapoor, Manish Malhotra and Sonam Kapoor all took to their Instagram accounts to post special moments from the majestic evening. 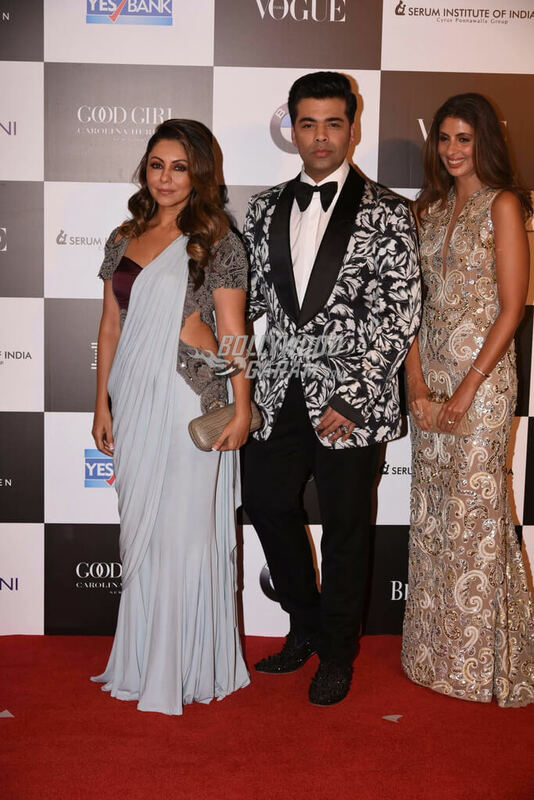 While KJo who won the Vogue Man of the Year Awardwas seen in a floral patterned monochrome suit by Tom Ford, Shweta Bachchan Nanda opted for a magnificent ivory gown with silver and gold embellishments and Gauri draped herself in a Monisha Jaising sari gown that accentuated her looks. Meanwhile, Anil Kapoor was also seen enjoying some good moments with Arjun and Arshad Warsi. 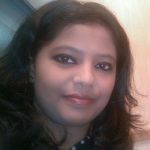 Anil and Arjun shared a warm hug together. Glamour and glitz rounded up the night and the Vogue 10 year celebration couldn’t have been any better! Exclusive photos from the Vogue Women of the Year Awards 2017!